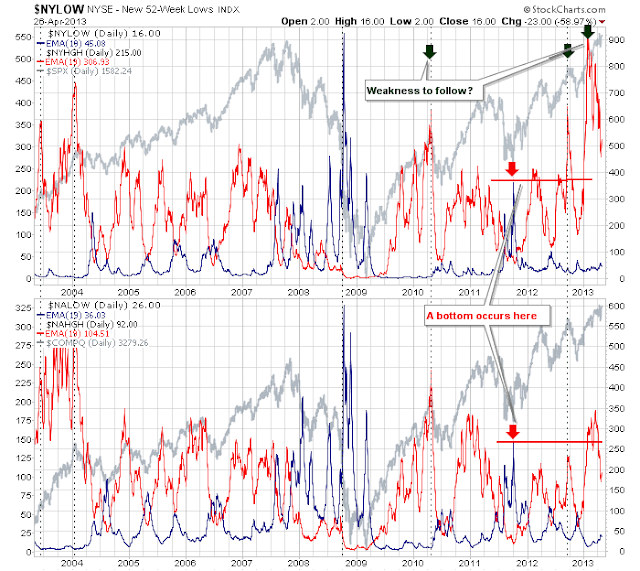 While it's questionable the extent the breadth swing low will support for a rally in the parent Nasdaq (given none of the breadth indicators are oversold), it does suggest the current rally is something more than just a relief rally. 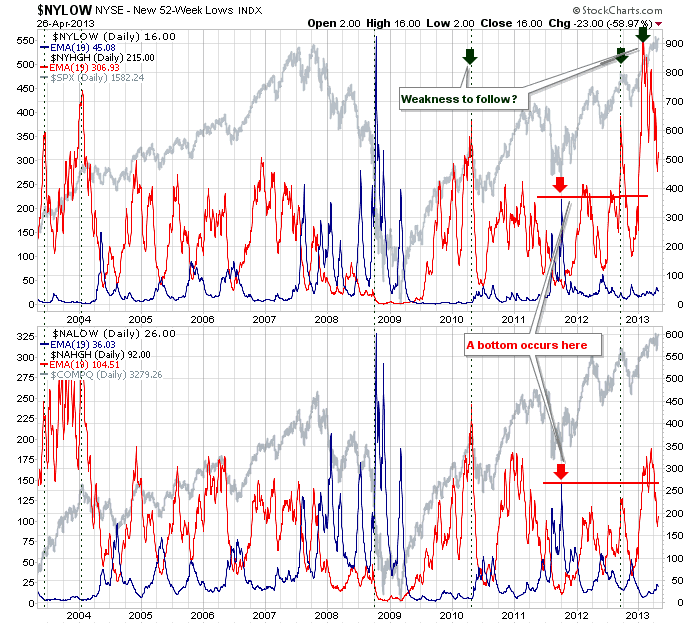 The problem with the swing low is that a return to overbought conditions will occur within a few weeks, and won't support a lengthy rally typical of major breadth swing lows. The New Highs / Lows metric points to a scrappy period, with a swing high in place, but a period of sideways action favoured to follow. However, this will only be a prelude to larger correction to follow, although it offers an opportunity to get out before the worst of the selling hits. The Nasdaq is hanging on to its weekly breakout. 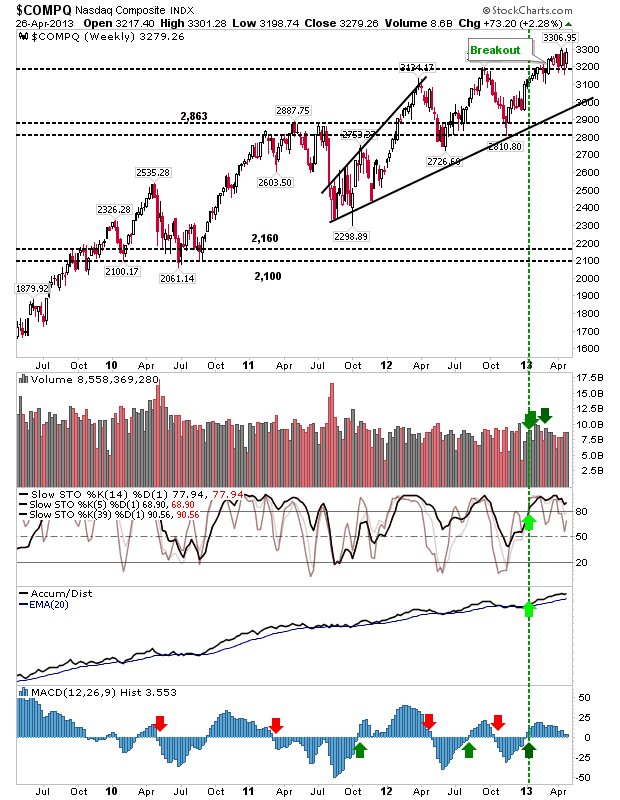 As long as it hold above 3,200 the rally will be maintained., with rising trend support around 3,000 the last chance saloon for bulls trading this trend. 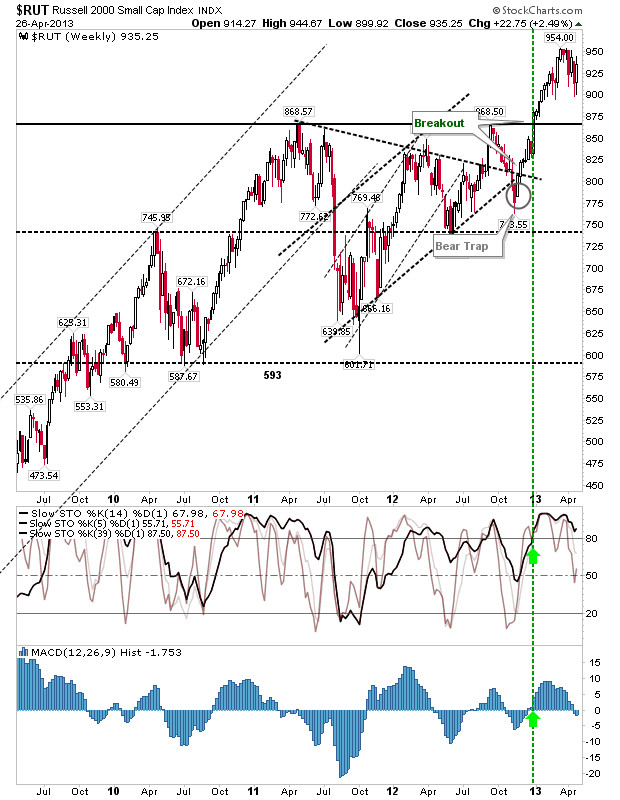 The Russell 2000 is carrying the breakout and is doing its best to hold above 900. Even if it has got scrappy on the daily timeframe, the weekly is relatively stable. 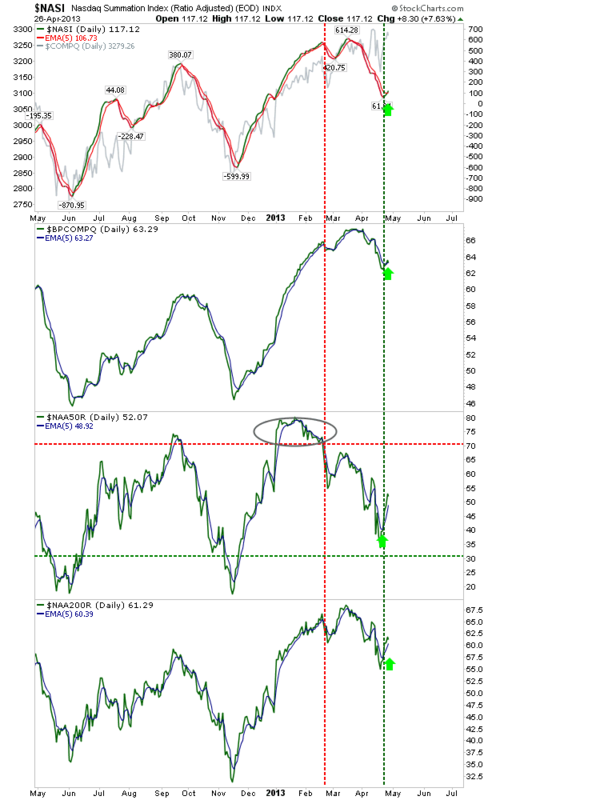 The summation is the rally has room to run, but it will take a big week of selling to break the weekly bullish picture.